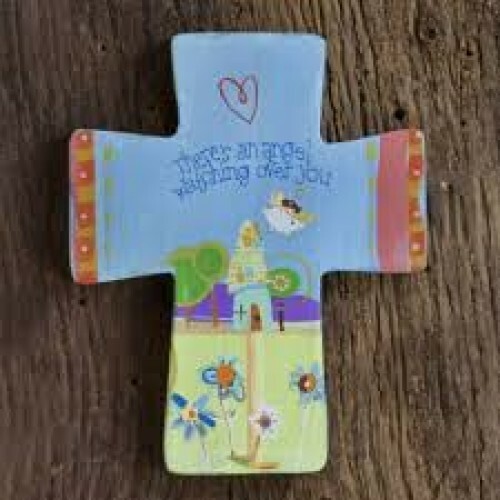 This wooden cross features the whimsical artwork of Robbin Rawlings and the words "There's an angel watching over you." These crosses are the perfect inspirational gift and can hang or sit. Made by Natural Life, this cross measures 4 1/2" wide by 5 3/4" tall by 3/4" deep.